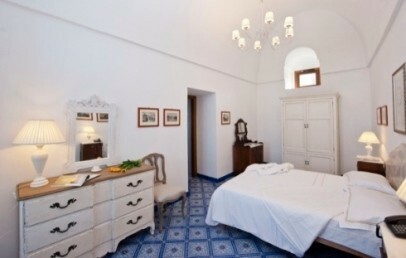 Situated on the island of Pantelleria in the San Francesco district, not far from the Phoenician Acropolis of ancient Cossyra and just a short walk from an important archaeological zone, the Acropoli Resort can easily be reached from the island’s port and airport. At sunset the splendid silhouette of the mountains of Tunisia can be glimpsed on the horizon. Apart from the beautiful sea, there are interesting secondary volcanic phenomena to be seen on the island. 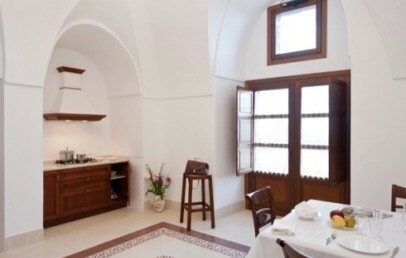 The main construction of the Acropoli Resort is a historic building spread over two floors: the ground floor dates back to 1700, while the first floor was built in 1875, and there are four apartments altogether. Two more independent apartments, one without architectural barriers, are situated in the Dammuso garden and also date back to 1700. 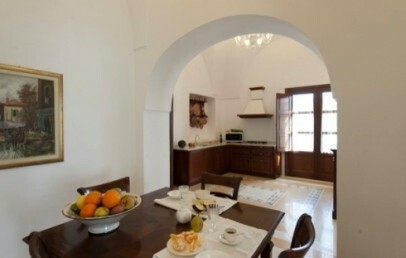 Careful renovation has created a splendid, comfortable Resort which preserves the historic charm of the original architecture. All apartments are in the traditional local Dammuso style: thick dry-stone walls skilfully cut by hand, vaulted ceilings and domed roofs. 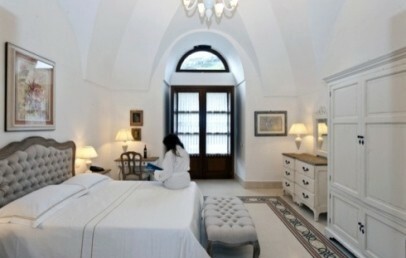 Paintings on the walls and antique pieces decorate these airy, comfortable rooms, equipped with a kitchen, minibar and private bathroom. 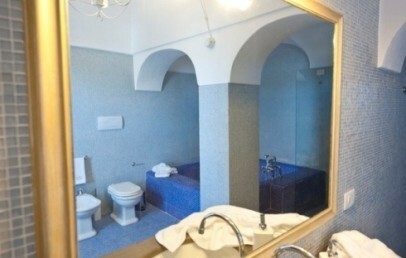 Included in the price: transfer to and from port-airport; safe box; electricity, water and gas; use of swimming pool and hydro-massage; two Turkish bath visits per week (booking required); fresh fruit on arrival; initial and final cleaning plus two cleanings per week; fresh towels daily and bed linen changed midweek; Internet connection. 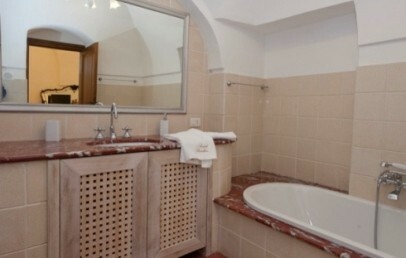 Dammuso Turchese – Accessible to reduced mobility guests. Double room, bathroom with shower, living-room-kitchen with window over cooktop, furnished patio with cane roofing, and access via a glass door. 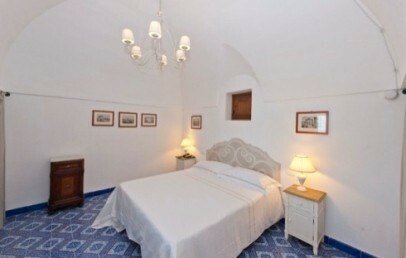 Dammuso Zaffiro – double bedroom, lounge with kitchen area and double sofa bed, bathroom with shower and large bath tub. 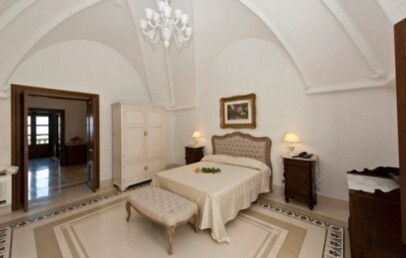 Suite Topazio – double bedroom with shower set into the wall, bathroom with tub, hall/living-room with armchair and double sofa bed. 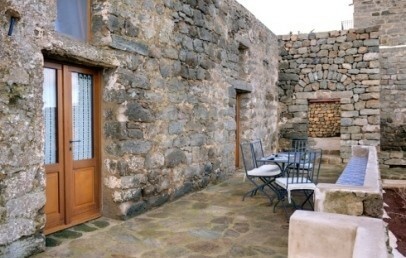 External area furnished with garden table and chairs. 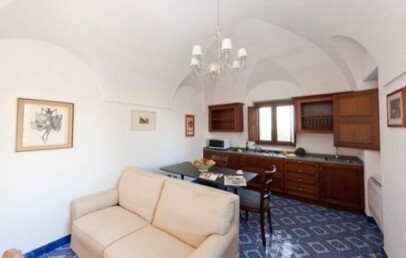 Suite Smeraldo – Double bedroom, large hall/living-room with double sofa bed, bathroom with tub, external area furnished with garden table and chairs. Suite Rubino – Situated on the first floor, with access via a marble staircase decorated with chandeliers and blown glass wall lamps. 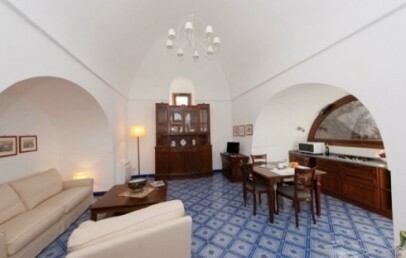 Hall/living-room with double sofa bed; kitchen, bright double bedroom, bathroom with shower and circular hydro-massage tub, balcony and panoramic terrace furnished with table and chairs. 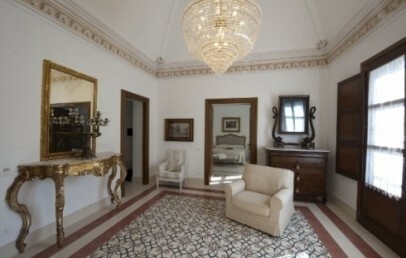 Suite Diamante – Access to the Suite is via an elegant marble staircase with chandeliers and blown glass wall lamps. 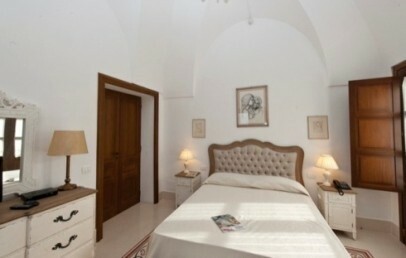 It consists of a hall/lounge with elegant vaulted ceilings, an armchair and double sofa bed; room with double bed and stucco decoration; large kitchen with original copper utensils, which opens onto a balcony; two bathrooms (one in marble with tub, the other in black mosaic with a shower). Panoramic terrace furnished with table and chairs. Private swimming pool with hydro-massage, immersed in a spacious, luxuriant garden; Pantellerian garden with citrus trees, where you can relax and enjoy the coolness, sheltered from the winds; Turkish bath; large garden with the remains of an ancient Roman-Carthaginian building. Private car park. 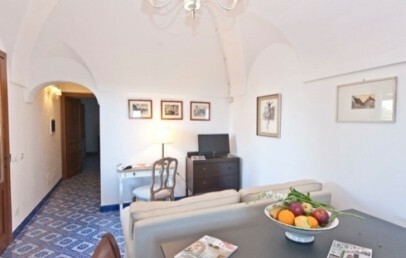 Included in the room price: transfer from/to airport/port and breakfast based on typical local produce. Small pets are welcome (booking required). Excursions available (visit to the famous lake Lo Specchio di Venere, and to the Montagna Grande rising to over 800 m); snorkelling to explore the wonderful seabed; visits to the many places of archaeological interest (both on land and at sea); food and wine tours. This Dammuso is composed of a double bedroom, living-room-kitchen corner with window over cooktop and glass door to patio (furnished with table and chairs), bathroom with shower. Daily cleaning and fresh towels, bed linen changed midweek. This Dammuso is composed of a double bedroom, lounge with kitchen area, hand-decorated ceramic floors and a double sofa bed. Bathroom with shower and large, hand-made mosaic concrete tub. Patio furnished with garden table and chairs. 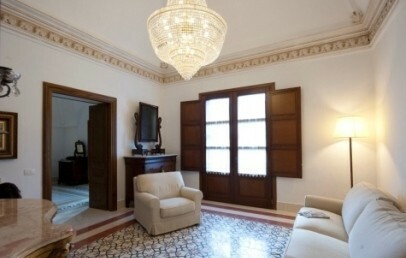 The Suite is composed of a double bedroom with shower set into the wall, hall/living-room with double sofa bed and armchair, spacious kitchen, bathroom with tub, external space furnished with garden table and chairs. 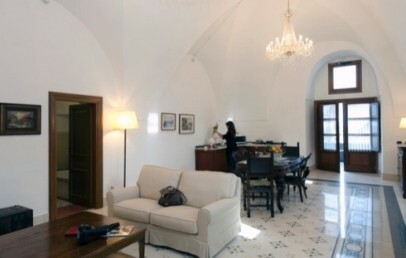 The Suite is composed of a double bedroom, spacious hall/lounge with vaulted ceilings and crystal chandeliers, double sofa bed, kitchen area, bathroom with tub. External space furnished with garden table and chairs. 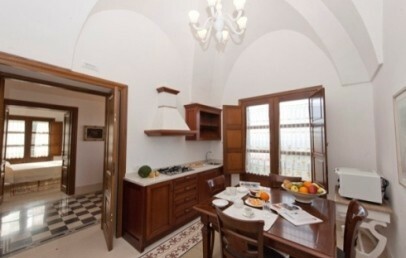 Apartment situated on the first floor, composed of a double bedroom hall/living-room, panoramic balcony, kitchen, bathroom with shower and circular hydro-massage tub. 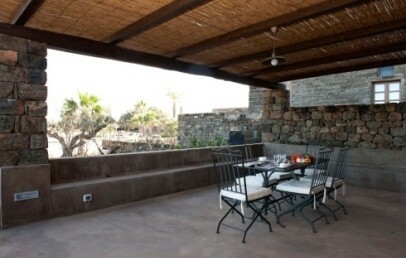 Panoramic terrace furnished with table and chairs. 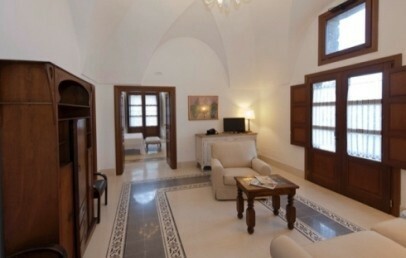 Suite composed of a double bedroom, hall/lounge with vaulted ceilings with 19th century stucco decoration, double sofa bed, spacious kitchen with balcony, and two bathrooms (one in black mosaic with shower, the other in marble with tub). 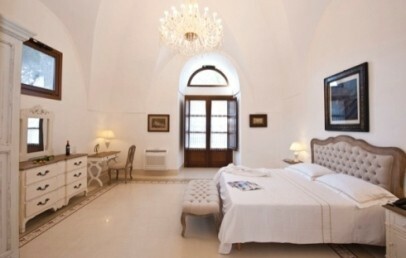 Special 10% reduction for stays from May 1st to May 31st!